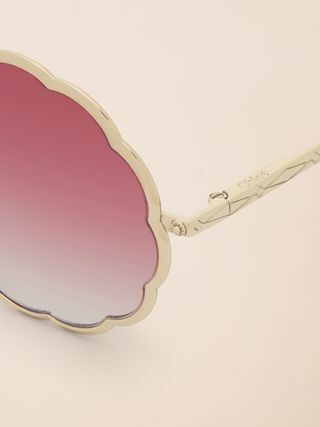 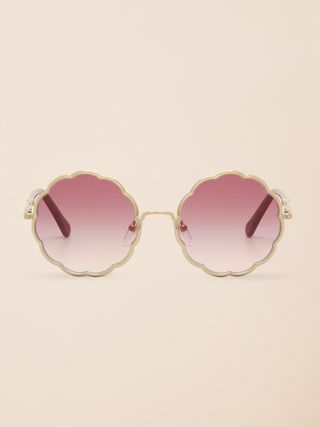 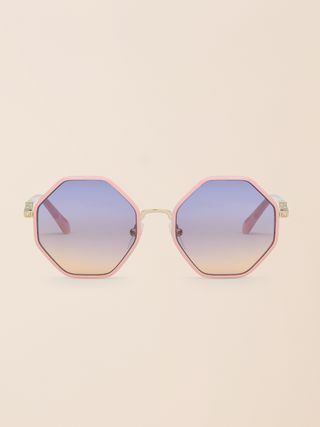 The Maison's unique Rosie line is reinterpreted in this bright and light version for little Chloé girls, featuring the characteristic flower-shaped metal frame with a pink enamel finish on the front. 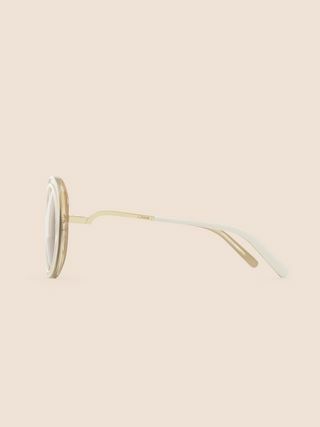 Cool gradient bi-coloured lenses reveal subtle violet to orange tones, gently contrasting with the luxurious gold metal. 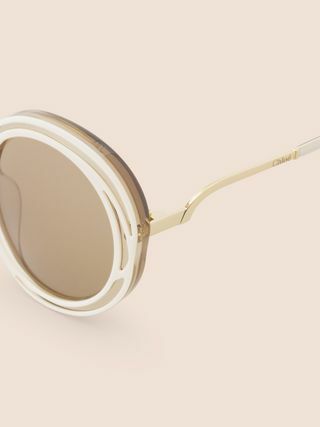 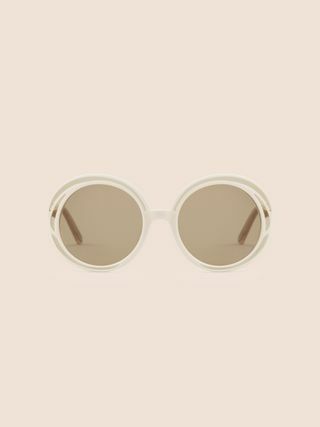 The temples reveal the Chloé engraved filigree pattern, while two sunburst-shaped metal pieces add further decorative detail on the front. 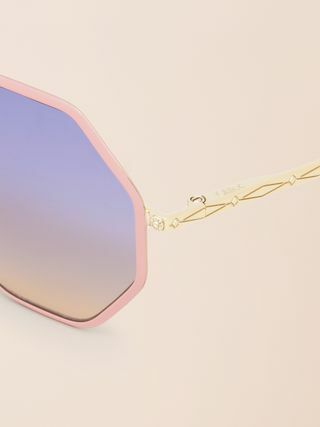 The temple tips are decorated with Chloé's signature drop-shaped foil.